Importing Pelican Products for your customers around the World? We are experienced with getting pallet loads of Pelican Specialty and Military products to U.S. Brokers and 3rd Party Logistics companies. We negotiate on Volume Orders! See our prices for these Unique Products we find being purchased by foreign entities/companies. Also, our regular case prices can't be beat. Lowest Price and Fast Factory Direct shipping. 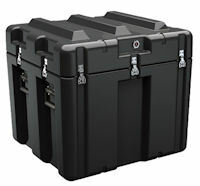 Pelican Storm cases are the industries best waterproof case with press and pull latches and double layered soft grip handles. 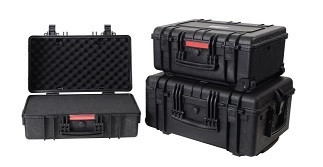 Standard rotationally molded, Very Rugged shipping cases and rack cases. Used for trade shows, military and OEM system deployments. Commercial off-the-shelf Vacuum Formed shipping cases. The thickest walled, highest quality case of its kind. Apeiron can help you with your static electricity sensitive equipment. Our antistatic containers provide permanent static protection. The thermoplastic sheet used to make these cases is a unique ABS/PVC product that is both conductive and fire rated. 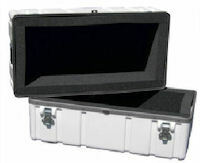 The case pictured here is our ASV2822-10, 5.5" base/4.5" lid. 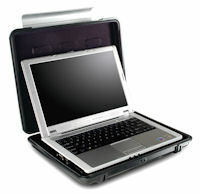 All anti-static cases are black because of of the plastic formulation. These unique products are often used for Telecommunications, laser and computer based test equipment protection along with pink anti-static foam. 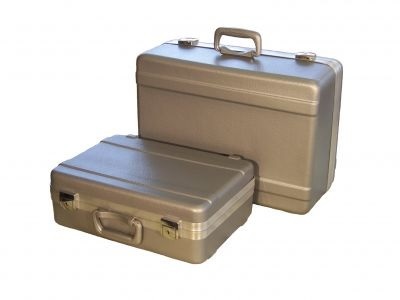 THESE RECESSED HARDWARE HANDLE & WHEEL CASES ARE IN-STOCK AND READY TO SHIP. 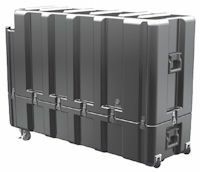 EXPO & Expo II Transport cases are designed to ship and transport wider, thinner items such as graphics, art, and trade show displays. It is not recommended that they be use for shipping computers or sensitive electronic equipment. Various types utilized by our customers. 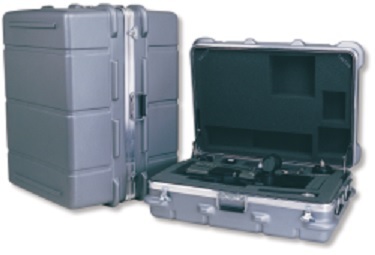 HDPE Ribbed Test Equipment Case - Stocked Cases ship in 1-3 days. impact resistance, and light case weight. •Molded-in ribs and lugs for stacking stability. Category 1 and MIL specifications. •Withstands temperatures from -80˚F to +180˚F. ​Check out Significant Quantity Discounts! Cases that are NON-Refundable & Non-Returnable because they are Discontinued, either by design changes, or exiting/retiring business.